One of the original thirteen colonies, Maryland is rich in history. You can’t go for a drive without seeing historic sites or walk through the cobblestone streets of Annapolis without realizing how fascinating it is to walk where Benjamin Franklin once did. Still, much of Maryland’s history is largely unknown—especially the fun stuff. Here are 14 fun facts about this amazing state. Maryland was the home of Babe Ruth. The Sultan of Swat, The Great Bambino was born here in Baltimore, Maryland. While you may think of him as a New Yorker, we know the truth. Maryland is “America in Miniature.” Maryland has such a diverse landscape that you can be in the mountains, at the beach, roaming through farmland or in the big city in the same day. A lot of fun for locals, this has earned Maryland the reputation for being America in Miniature, a place where you can see much of what America has to offer without ever leaving the state. The Baltimore Ravens got their name from Edgar Allen Poe’s The Raven. Another of our famous citizens, Poe was born in Maryland and is buried here. Harriet Tubman was born in Maryland and it is home to many stops on the Underground Railroad. You can tour the Underground Railroad Byway, stop at the museum and see the road that she repeatedly traveled to set people free. We sell as many crab cakes here as burgers and dogs. Crab cakes are a staple in Maryland and Watermen are part of our culture. You see people selling crabs out trucks all summer long. Old Bay is like salt to us. Make sure that you have Old Bay in the house. Our favorite seasoning is used on everything from eggs to dinner, but especially on crab cakes. Maryland is home to the United States Naval Academy. Where else can you go to college on the water and have million-dollar views every day? The Naval Academy is part of the Annapolis culture and you will regularly find midshipman walking around downtown. The first school in the United States was in Maryland – King William's School. Now known as St. John's College, Maryland has been educating some of the country’s finest, long before we were even a country. Francis Scott Key wrote the Star-Spangled Banner here while watching the British assault on the Baltimore Harbor in 1814. Grab the family and head to Fort McHenry in Baltimore. You can see where the Star-Spangled Banner was written and on the Fourth of July, they have reenactments with cannon fire. This is bringing history to life. 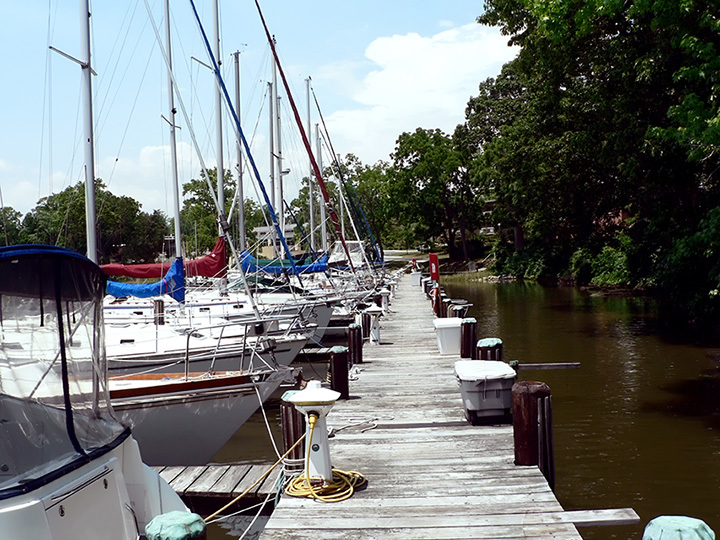 Annapolis is the sailing capital of the world. Sailboats grace the Bay nearly all-year long and weekly races are held in the spring and summer. The trend doesn’t end in the colder months, one famous Annapolis feature is the boat parade every December. Chincoteague's are famous ponies from Assateague Island. Some say that these ponies arrived after a Spanish ship crashed off the coast. Perhaps true, perhaps not, but they are a state treasure. When you visit Assateague Island you will find these ponies roaming freely and they are the true boss. If you get too close and they bite—it’s on you! There is 4,431 miles of shoreline in Maryland. It is far easier to spend time on the water than in most places in the country because not only are there a lot of waterfront homes for sale but we have a ton of public parks and beaches. Whether you are in Southern Maryland, the Eastern Shore or in Baltimore, there is always a park within 40 minutes where you can enjoy the beach. People in Maryland LOVE their flag. We’re talking obsession level. On the beach, you will see Maryland flag swimsuits and trunks. People where flag ties, socks, shirts, sweats… you name it. We even place flag-themed crab stickers on our cars, boats and backpacks. We have accents. Okay, some of us have accents. This is America in Miniature and some parts of the state are very southern with an accent and all, while other parts are very northern. The culture in Maryland is as diverse as our landscape.